Before 1969, states throughout the country would not permit a divorce unless one of the parties to the marriage contract had committed some statutorily defined “fault”. These faults included, but were not limited to, adultery, physical abuse, and abandonment. Individuals or couples looking to obtain a divorce where no statutory fault was present simply fabricated one in court. In an effort to end this tortured legal regime, then Governor Ronald Reagan signed into law the country’s first no-fault divorce bill which allowed spouses to unilaterally dissolve their marriage whether a fault had been committed or not. Governor Reagan would later regret this decision, but the precedent was set, and the rest of the country would soon follow suit with New York being the last state to adopt a “no-fault” divorce policy in 2010. For some, this represented a fundamental and irrevocable change to the institution of marriage. 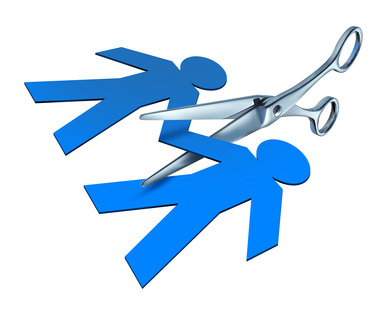 Under the no-fault policy, individuals were free to terminate their marriage contracts for virtually any reason at all, leaving their spouses with no recourse to mend the relationship. It also served to undermine the cultural and religious aspects of the marriage by rendering a couple’s public vows and pledges legally meaningless and unenforceable. Many opponents of no-fault divorce have cited the rise in divorce rates as evidence of the policy’s deleterious social impact. For others, the no-fault divorce laws were a way for couples and courts to avoid lengthy and costly legal proceedings that could drain couples financially and emotionally as they sought to assign blame to one another in a court of law. Another perceived benefit of removing fault as the basis for a divorce was the courts new approach to related matters such as property distribution and child custody, which would now be decided on the basis of what was equitable as opposed to who was at fault. Additionally, no-fault divorce served to empower individuals that were trapped in emotionally or physically abusive relationships. By giving these individuals the ability to unilaterally dissolve their marriage, policy-makers were giving them a way out of a bad situation. Regardless of where one stands on this issue, the trend has been clear and seemingly inexorable. No-fault divorces are available in every state and there seems to be no indication that a reversal will occur anytime soon. At present, it is simply enough that one party to the marriage contract cite “irreconcilable differences” as a justification for initiating divorce proceedings. What this new legal precedent means for American society, however, remains to be seen.